For years we’ve heard “Reduce, Reuse, Recycle!” and many people do recycle some things but some people neglect to remember that tires can (and should) be recycled. You might be wondering, “why should I recycle my tires?” (or anything else for that matter). 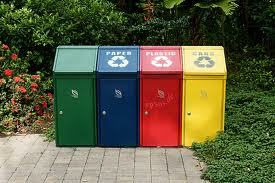 Here are the top three pros and cons to recycling and why we think that you should do it. Pro: Recycling is good for the planet. Remember that pollution is a major concern for America and the world more so than ever before. If you consider the fact that the world’s population increased from 4.5 billion people in 1980 to nearly 7 billion in 2012 you can imagine that there has been a substantial increase in rubbish that could be recycled or reused. Projections for the world’s population in 2030 show a possible population of over 8.2 billion people. Now is the time for businesses to step up and be role models and pillars in their communities as protecting the earth for the next generation. Con: Recycling takes time. It’s true that it is much easier to simply dispose of any materials you no longer have need for, but the effort required for the most part is minimal. There are companies who do the job for you to make the whole process as painless as possible. Pro: Recycling creates jobs. What is better than protecting the only planet we have AND creating jobs for Americans BY Americans? There are a lot of steps required to recycle some materials from shipping to melting to re-purposing to reshipping and each of these steps requires a dedicated team of people. By making use of items that would normally be dumped we can create solid careers for Americans who need them thereby benefiting the economy and making America stronger for her children. Con: Recycling is costly. While there are some costs associated with recycling it makes sense to begin the process with businesses using recyclable materials like tires. You may see the additional expense as a burden at first, but the benefits outweigh the costs in the long run. Pro: Recycling looks great on your business. Today, people are becoming more and more concerned with green initiative and tend support businesses that are more “green” or environmentally friendly than those who do nothing to clean up after their carbon footprint. Con: Recycling isn’t pretty. It can be messy, it can be time consuming and it can be costly but the future of the planet, your business and the American economy could be improved by your foresight.